OSCO Barrier-Gate Models BGU-D is the solution when a battery back-up is needed in you operator system. 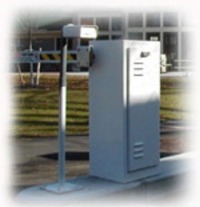 This unit is to be used for parking applications and revenue control. The added advantage to the DC operator is the automatic-open feature upon power loss. When the gate opener senses AC power is no longer present, the arm will cycle open, remaining open until AC power is restored (fail safe) OR continues normal operation while monitoring the battery level. Once the batteries are low the unit will cycle open until AC power is restored or the batteries receive a full charge (fail secure). 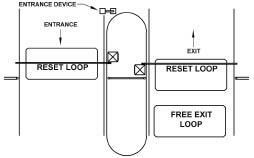 Loop detector are used with barrier gates to detect the vehicle as either a Free Exit Loop, reset loop, or a safty look. To install cut theconcrete and lay the wire in and then run the wire back to the operator and then caulk over the wire. If you need further assistance call our sales department at 800.878.7829 between the hours of 8:00 AM - 5:00 PM EST. or email us at sales@discountfence.com.